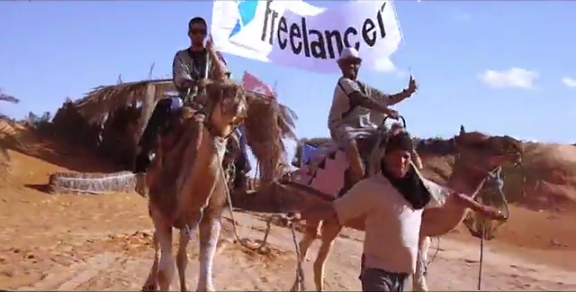 The Expose Our Logo 2015 contest once again took the Freelancer logo all across the globe. Entries poured in from over 40 countries, sharing a ton of inspiration from different cultures and walks of life. From the Taj Mahal in India, the Antwerp Central Station in Belgium, and the Burj Al Arab hotel in Dubai, all the way to the Candi Prambanan temple in Indonesia, the Seattle Space Needle in the USA, and the beaches of Venezuela, Freelancer users were able to showcase the logo in a multitude of creative and unique ways. For thinking out of the box when it comes to media exposure, and for organising multiple Freelancer themed activities in the Philippines - from events sponsorships, to outdoor advertising, and cable TV exposure. They took our logo to the University, organised a local Mr and Miss Freelancer event, and had a Freelancer Band performing. Not to even mention Freelancer’s own tree planting expedition for the greater social good, and much more - we are honored you’ve been able to represent our community so well. 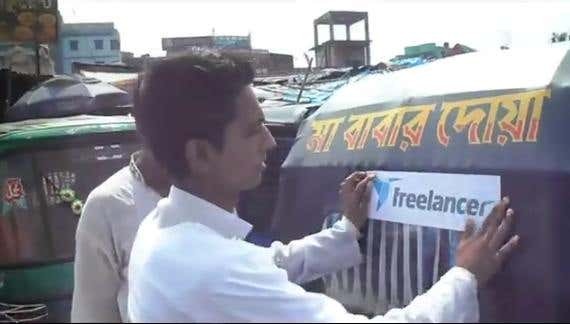 For not only featuring our logo to thousands of people around Bangladesh but for also executing their idea extremely well in practice, becoming ‘Advertisers’ themselves. 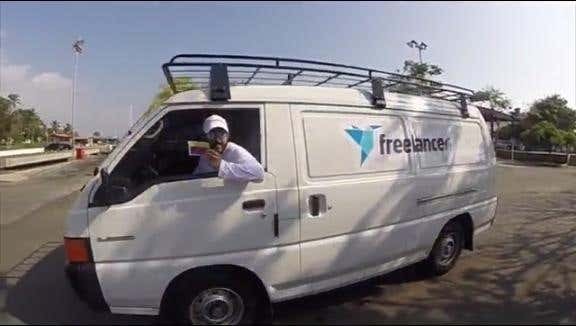 The team said to have printed 5000 pens and 5000 booklets with freelancer.com logo, distributed 8000 posters and branded over 500 buses, 500 Auto rickshaws, hundreds of Freelancer.com hats and baloons. 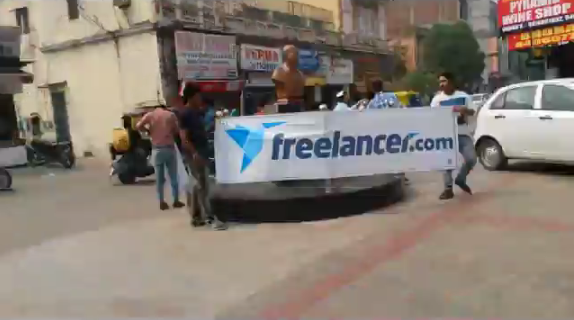 For submitting several 5 star quality videos taking our logo directly to the busiest streets and famous landmarks in India,directly engaging with the community of millions of people over the period of more than 3 weeks. For showing us that the best work can also come from improvisation. 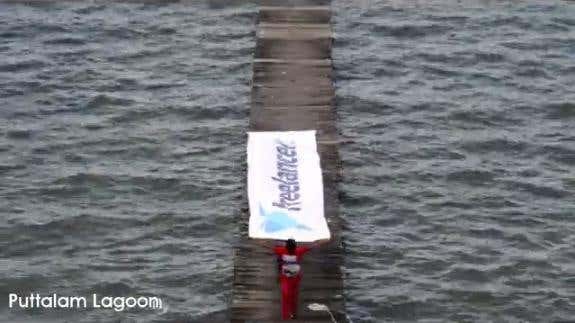 They showcased the biggest Freelancer logo along the beach during low tide. 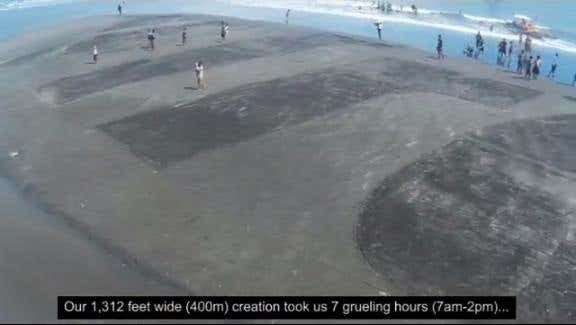 Their 1,312 feet wide (400m) creation took them 7 hours to make while battling the heat of the sun, time and the coming high tide. For taking us on an amazing journey across Sri Lanka this summer -- exposing the logo through paragliding, kitesurfing, dolphin watching and showcasing the beautiful natural resort of Sigiriya: ‘The Eighth Wonder of the World’ - it made us all want to book our tickets and visit your beautiful country. 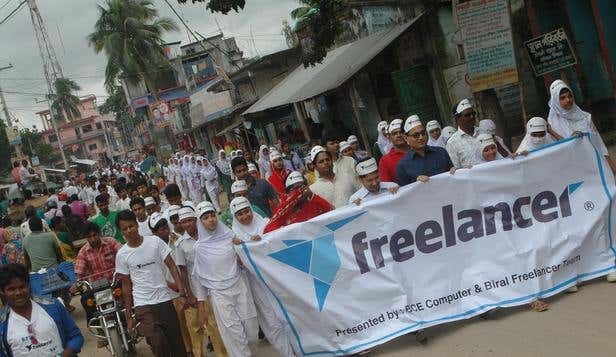 For convincing us that not only local or international celebrities who already get a lot of media attention could be our Freelancer.com ‘Superstars’ - the young man’s personal story and talented dancers featured in the video have truly been an inspiration to us all and we hope we get to hear more about them in the future. 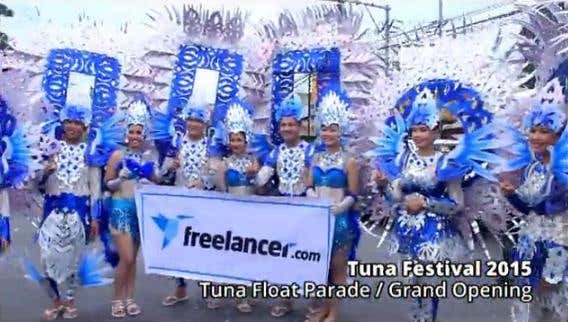 For an amazing entry overall, great humour shown at Freelancer themed Zumba class, and for perfectly matching our logo to the dancers’ costumes at the Tuna Festival Opening Parade. Done in a true Party Soul style. 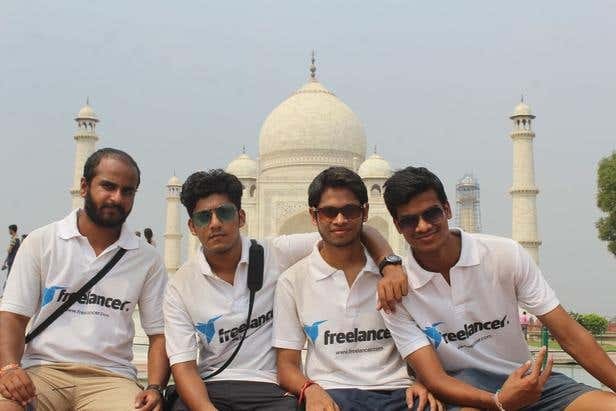 This gets a special mention not only for their YouTube video exposure but also for showing a great team spirit becoming a true Freelancer.com ‘vlogger’ ambassadors on social media. 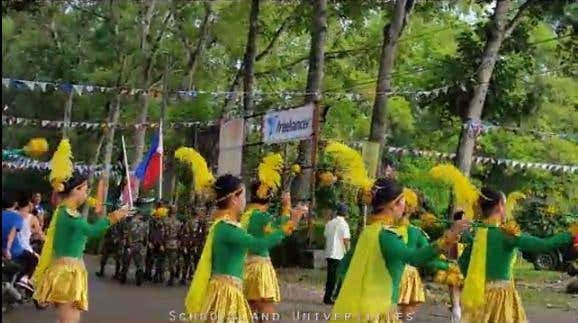 This goes out to mass communication students from the Philippines for the best use of new media. It may not be the true style ‘Paparazzi’ we initially thought it would be but this video certainly inspired our team and got us all talking about it. We looked beyond the specific definition for this category and decided to award the team for their multiple video entries in this contest and for successfully engaging some incredible musical talent and media in their promotion with lots of additional viral potential in the future. 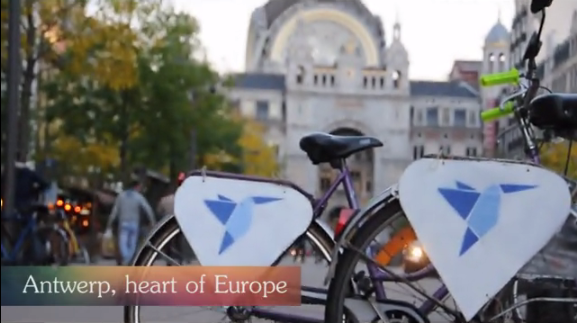 The winners were chosen based on the overall effort and creativity with the video as a whole. The winning entries have a broader message, as well as more appeal for our community within a specific prize category. Congratulations to all the winners, and big thanks to everyone for joining! Here's what this year's Grand Prize winners, Judsonbc, had to say. 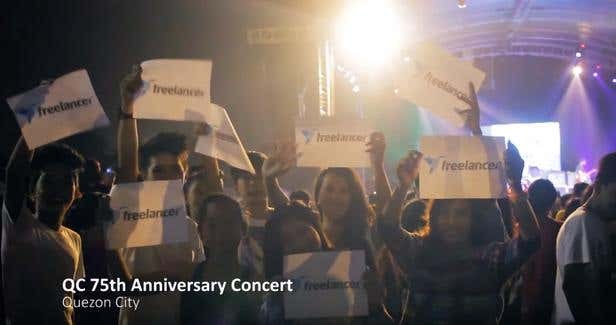 "Thank you Freelancer for making us the Grand winner. Nothing could express how grateful and happy we were when we learned we won the Grand prize. It was 3am and the neighbourhood woke up because we shouted out loud. Thank you again and it's been an honor also representing Freelancer here in our community. Congratulations to all the winners! Tiresome days and sleepless nights have been our everyday experience since the day we decided to join the contest. It’s been more than a month now of brainstorming and waiting and that day has come for you to announce the winner and it was in our favor. From the bottom of our hearts, we thank you! 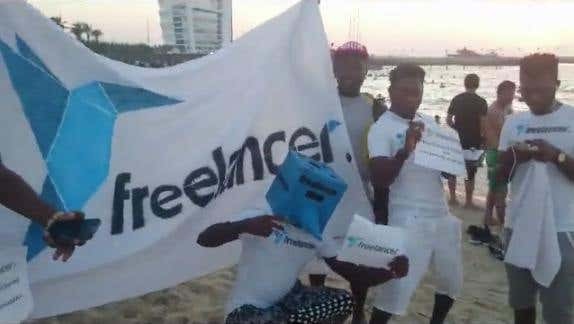 Our experience was a big challenge to us because we don’t have enough resources financially and with little time available in organizing events to promote Freelancer.com logo, but by the grace of God we were able to do it! At first, it seems impossible but teamwork and determination – “whatever it takes” – was our big secret, making things easy and achievable. Part of the money will go to acquiring a small lot for our Children’s Learning Center – free but quality education for our less fortunate little children here in our community. We will also be organizing community services such as feeding programs and gift giving (because it is nearly Christmas time and the like) to the far-flung barangays of Kabankalan City, and we’ll be having a thanksgiving party! WooHaa!!! And of course I will share it with my team members and with those who in any way helped us in achieving our goal. And I will save the rest for my future projects, my family, and my children’s education. Indeed this opportunity is a big help to us. 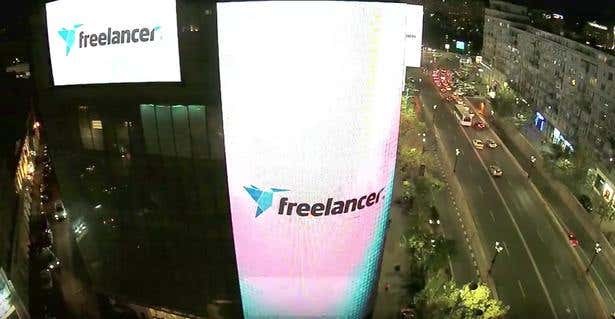 Thank you very much Freelancer.com!"